Pack Contains: 2 x 78mm Short Straights. 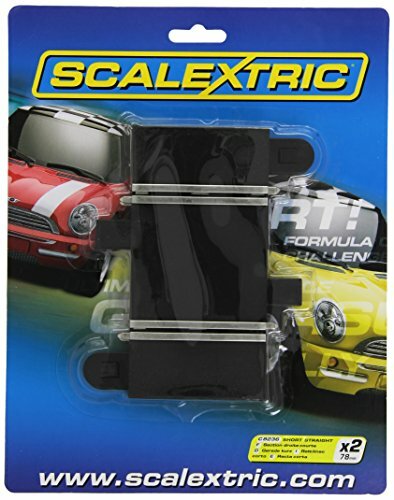 Push-fit Scalextric track for quick and easy circuit building. Connect modern Scalextric track to original track (which has ring-shaped connectors) using the C8222 Converter Straight.